Andy Haggarty is a legend amongst legends when it comes to successfully executing those difficult jobs, especially in mud, on water or anything closely associated with it. 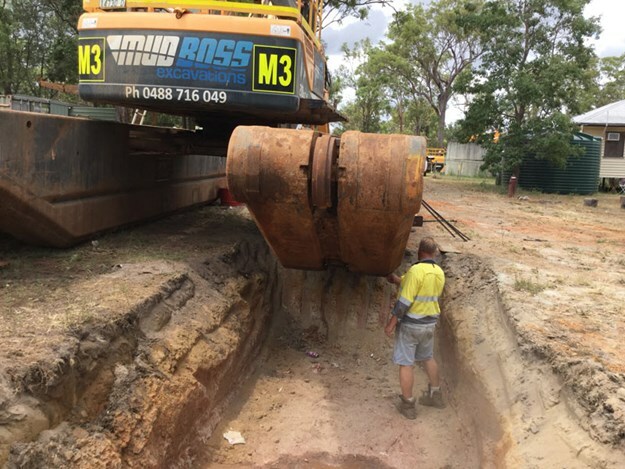 He is known Australia-wide for his knowledge and skill, not only in operating anything with a boom or dipper arm attached but also for his expertise in devising a method and plan to get those extremely difficult jobs over the line for his clients. 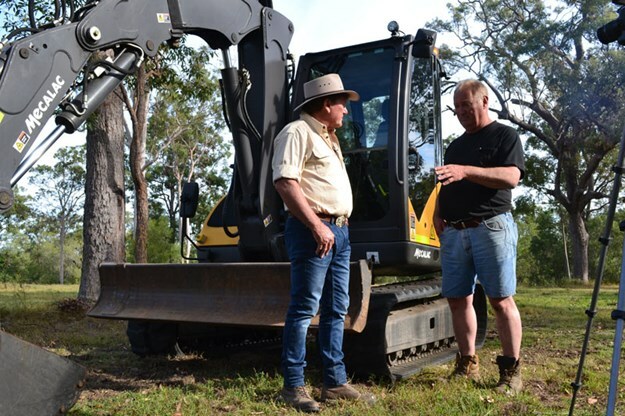 Haggarty was born into a family which fell into the earthmoving game purely by accident. 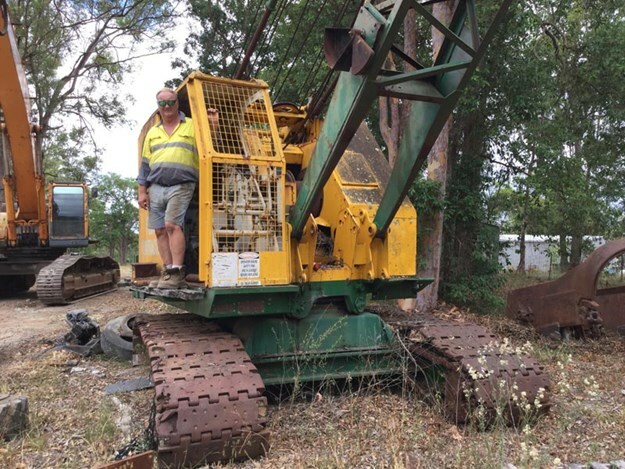 His father did not have any earthmoving or heavy machinery experience when came across a very tidy cable-operated dragline many years ago after spotting it in a repossession yard down near Lismore, northern NSW. Having a good understanding of the machine’s capabilities, he purchased and promptly taught himself to operate it. 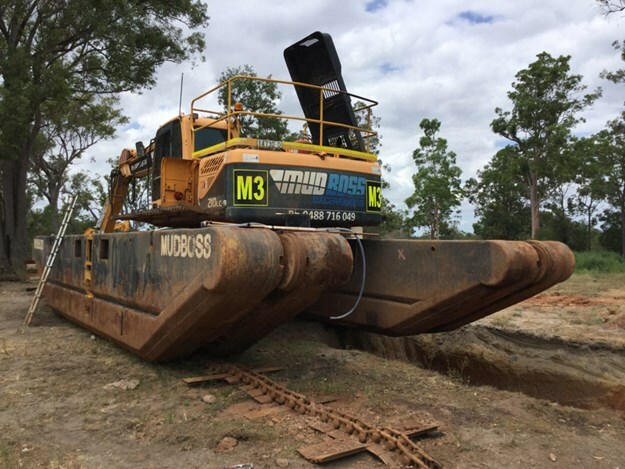 The work flowed so freely that he became a full time Drag Line contractor excavating river sands, mud and gravel from lakes and rivers all over the East Coast of Australia. Haggarty learned to operate his first dragline at 13 years of age and became a permanent operator at the ripe old age of 16, under the guidance of his dad. The young bloke took to this type of work like a duck to water and quickly became the most sought-after operator in the Gold Coast region. After a few years with his dad and a couple of years operating for other dragline contractors on the Gold Coast, Haggarty purchased his own dragline and the rest is history. Haggarty soon became the "go to man" when it came to swamp excavations, river gravels or sand excavations and worked on many of the major early canal projects in the Gold Coast wetlands areas during the 80’s. His expertise on the old cable draglines and ability to move unbelievable quantities of mud proved invaluable to the developers of the day and truly stand as a legacy to the foresight and passion this man has for the industry. Haggarty may be the best and last of a long line of really competent dragline operators still around but he has not let grass grow under his feet since the advent of "high technology" in the industry. Always looking outside the box for something different, something better or just some better solution to expedite the production levels of a difficult job, Haggarty is still a leader in his game. Based out of the Gold Coast Hinterland, he is known for his choices of machinery that are "one offs" at the time of purchase. 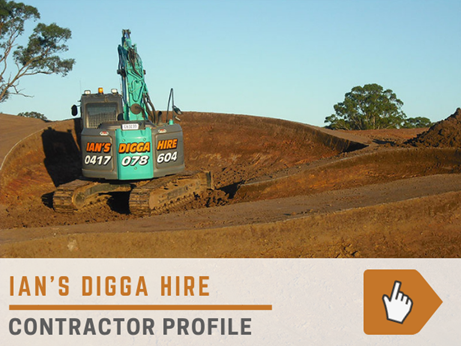 In his fleet of excavators, Haggarty has or has had a couple of spider excavators, a Mecalac excavator, long reach excavators (being the largest fleet owner of them in Australia at one time), amphibious excavators and of course draglines. Start discussing bolt sizes, hydraulic ram wall thicknesses, hydraulic flow rates, hydraulic pressure ratings, horsepower developed in a certain engine, flotation aspects of amphibious excavators, race cars, race engine specs or anything in between and he will discuss the lot with you... but then he will also go and fix them, modify them to suit his requirements and operate them – he is that skilled and knowledgeable. Haggarty currently has a great deal of his work based on many coastal rock placement projects for sea walls and erosion protective projects. A couple of years ago, he procured a second hand 21t Hyundai attached to a REMU Pontoon base, commenced rebuilding it and eventually sent it to a mine in the back blocks of WA for a two-year period where it walked over 600km in its period of engagement on a salt lake. Anyone who knows amphibious excavators and the limited walking out of water they are capable of doing will realise that this is a remarkable feat. Haggarty has had many models and brands of equipment in his day but presently has a fleet of tidy Hyundai excavators ranging from 20 to 40 ton-plus, with long reach arms and amphibious bases on some of them. They say that if your peers appreciate your input and leadership, your passion has not waned and criticism hasn’t affected your direction, you’re not driven by greed and you’ve spent your time making the industry a better place, then you have ‘Pioneer Status’; joining an elite group at the top of their game. 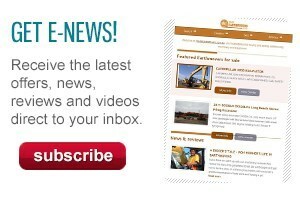 For many years the Civil Contractors Federation of Australia (CCF) held an awards night to recognise companies and individuals for their contribution to the earthmoving industry throughout Australia. 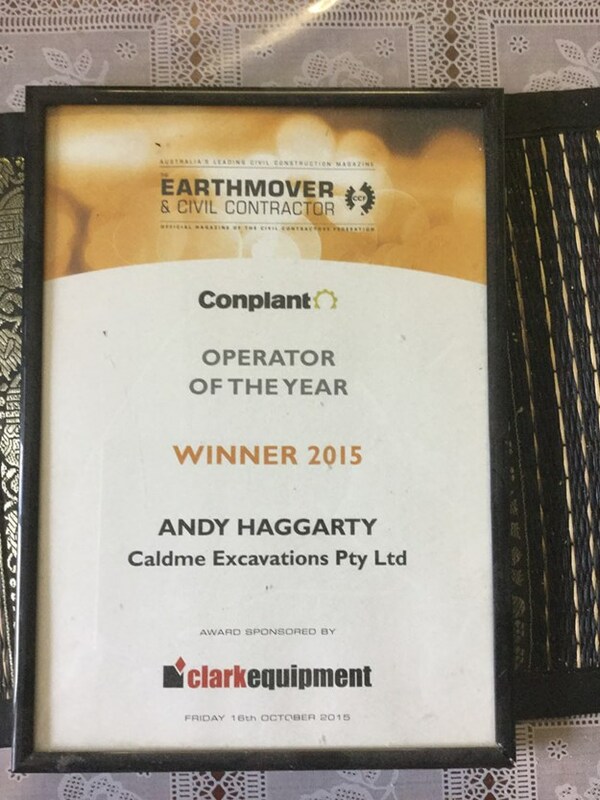 In 2015, Haggarty was presented with the Operator of the Year award sponsored by Clark Equipment at a function held in Melbourne. Being the humble person that he is, he could not make the trip to collect the award due to work commitments. 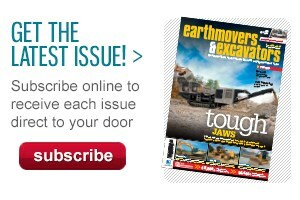 This says a lot about the old school approach from the guys that helped build our industry into what it is today. Haggarty reckons it’s all about "just leaving our industry better than when we started". These are the blokes that made our industry. Well played Andy Haggarty and well deserved of our contractor profile recipient for the month.